He's accused of pointing a gun at two men during a bar fight. 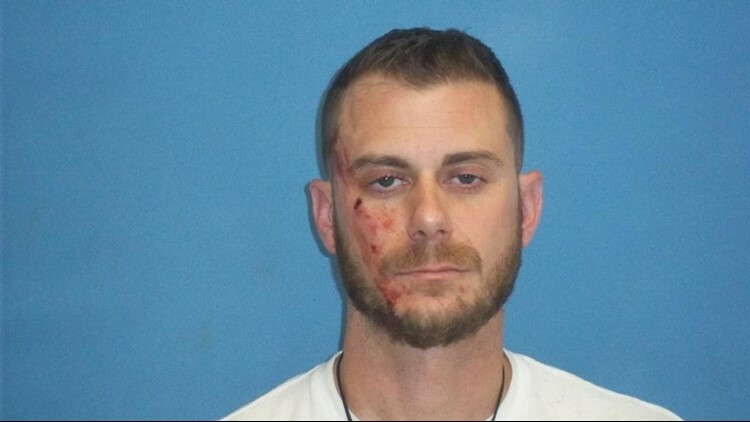 WILLOUGHBY -- A Euclid police officer is facing charges after he allegedly brandished a gun during a bar fight Friday. The fight happened at Frank and Tony's Place on Second Street in Willoughby. Three men, identified as 32-year-old Todd Gauntner, 28-year-old Dustin Wolf and 39-year-old Bradley Peterson, were involved in the fight in the bar's patio area. Police believe Wolf and Peterson were the aggressors in the incident, which began with an argument and some shoving. The fight escalated when Gauntner allegedly brandished a gun and pointed it at the two men. A physical fight followed before employees and other bar patrons attempted to break it up. Gauntner suffered injuries to the head and face during the fight, but no other injuries were reported. Gauntner is charged with using a weapon while intoxicated. He's scheduled for arraignment Thursday morning. A spokesperson for the Euclid Police Department says Gauntner was placed on paid suspension. The department's internal affairs team is investigating the incident. Peterson and Wolf were initially charged with disorderly conduct, but those charges were nulled in court once police determined Peterson and Wolf started the fight. They're now charged with assault.